Dr. Jerry Rawal graduated as Valedictorian and Top Student from Central Technical High School in Toronto. Undergraduate work as well as Doctor of Optometry degree were received from the University of Waterloo. Dr. Rawal did post grad specialty training in ocular therapeutics in Philadelphia. He ran his practice in Toronto (Don Mills) for 16 years. As well, during his years in Toronto, Dr. Rawal was on staff at the Herzig Eye Institue, a leading refractive surgery centre. Dr. Rawal served on the Board of Directors of the Ontario Association of Optometrists from 1993 to 1998. 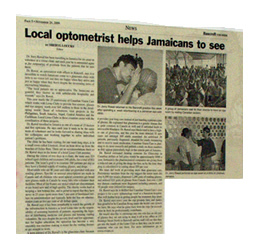 He is involved in charity eye missions with Canadian Vision Care and the Lions Club delivering much-needed eye care to the Third World, for the past 10 years. He has played a significant role in the establishment and running of a glaucoma clinic in Linstead, Jamaica where ongoing care is provided to patients with this serious disease. Dr. Jerry Rawal's Optometry Practice has been open in Bancroft since 1993. He took over from Dr. Tom Edwards who had practiced here for 26 years. Dr. Rawal is a devoted father. 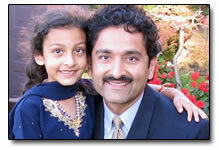 He enjoys all activities with his daughter Anjali. His particular hobbies are road and mountain biking, swimming, hiking and tennis.